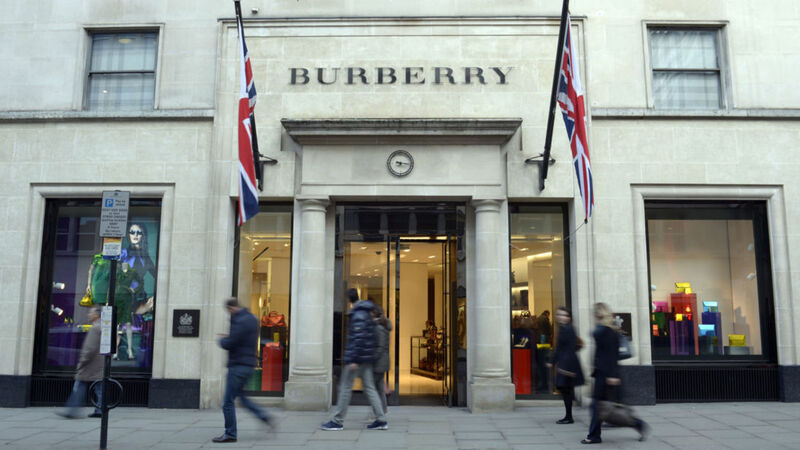 Burberry shareholders have staged another protest against executive pay at the luxury firm, three years after its strategy was voted down. The FTSE 100 firm's chairman, Sir John Peace, was forced to defend a string of awards at its annual general meeting, including a near-doubling in the total package for former boss Christopher Bailey. He took home more than £3.5m in the 12 months to 31 March, having received £1.9m in the previous year, despite the company recording a fall in total sales and profits over the same period. New finance chief Julie Brown had already handed back almost £2.5m in share options she was entitled to on joining the firm at the start of the year - compensation for relinquishing the same position at Smith and Nephew. She had been due to receive £4.7m. A string of shareholder advisory bodies had urged investors to reject the remuneration report ahead of the gathering - with just over 31% backing that position. One shareholder described the payouts to Mr Bailey - who remains chief creative officer and president after relinquishing the job of chief executive to Marco Gobbetti - and Ms Brown as "somewhat excessive". Sir John responded: "The board's intent, the remuneration committee's intent, is to do what's right for shareholders and what's right for the business. It's not just to do things to be excessive, for excessive's sake. "What we try to do is make sure that we attract and retain some of the best people in the industry. "Over the course of the past few years we've been going through quite a significant change... moving from being a wholesale business into more of a retail and wholesale business and digital. "So as we go through that transformation, bringing on board the right people for the future is very important as well as keeping the talent we have within the organisation." 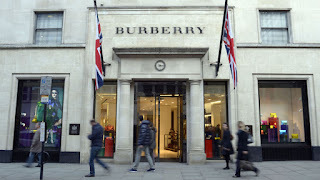 The meeting took place two months after Burberry released its results for the last financial year, which showed a 2% dip in total sales and pre-tax profits just shy of £400m - a 5% fall on the previous year. When the effects of a weaker pound - a consequence of the Brexit vote - were included, sales and profits were 10% higher. Mr Gobbetti, who joined Burberry this month from the French fashion house Celine, told reporters after the meeting that a £50m trench coat plant - postponed after the referendum - would go ahead in Yorkshire but not on the previous site identified in Leeds. "There are no plans at the moment to shift away (from the UK). On the contrary... we are going to invest in Leeds, we are going ahead with our plans in Leeds. "And for Brexit, I think it is too early to make any comment. "I think until the Government has advanced in the discussions... there is nothing at all, at this stage, that we would look at."